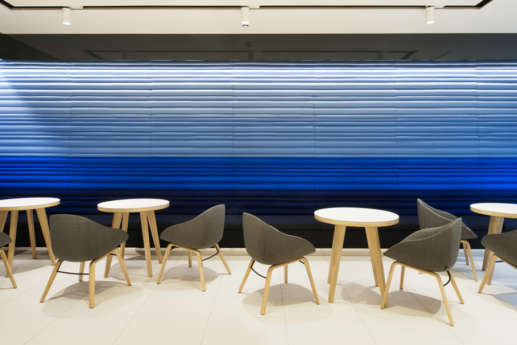 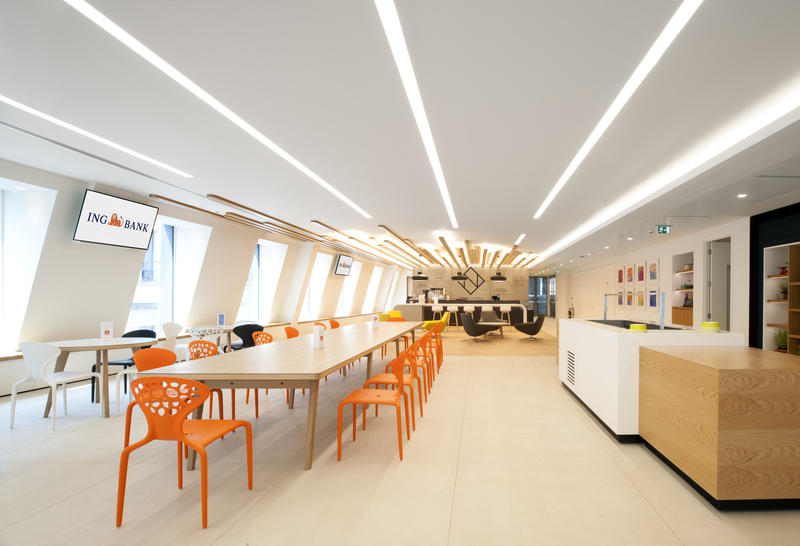 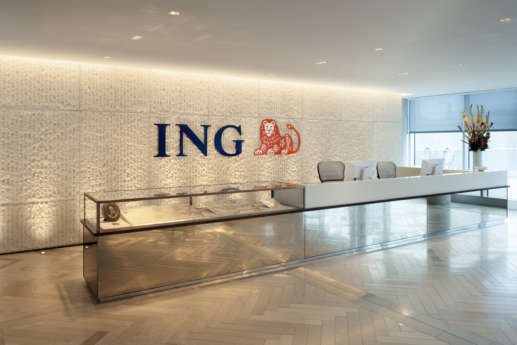 We delivered a destination workplace for ING Wholesale Banking, with inspirational spaces for staff and clients, along with a nod to the company’s Dutch heritage. 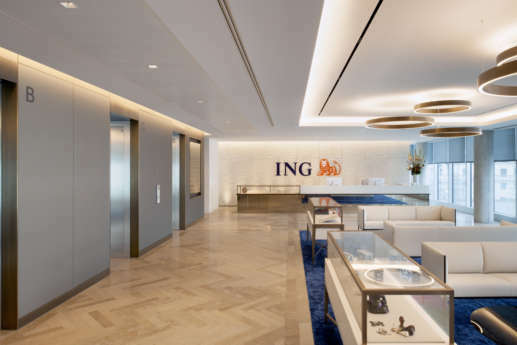 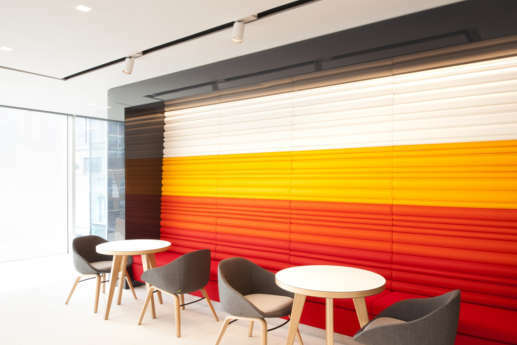 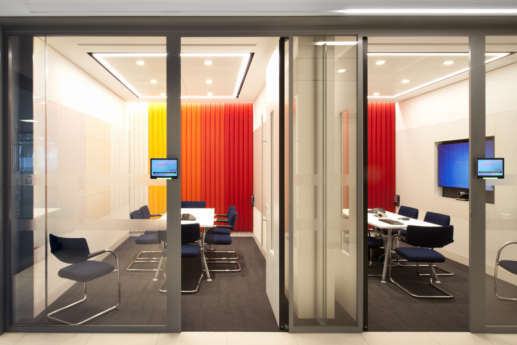 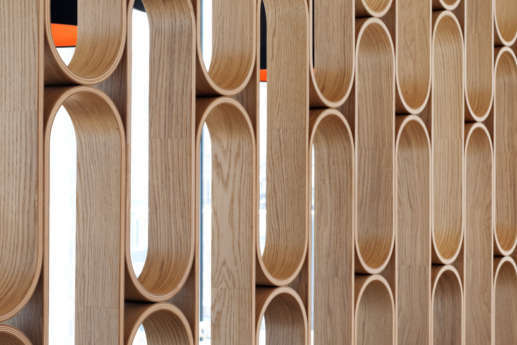 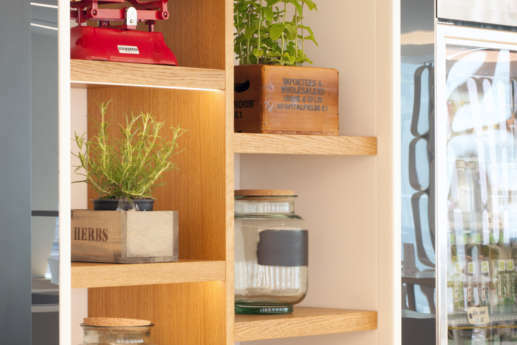 ING Wholesale Banking wanted their new office fit out in Moorgate to provide a high quality home for their staff, with a modern twist and a bit of Dutch flair! 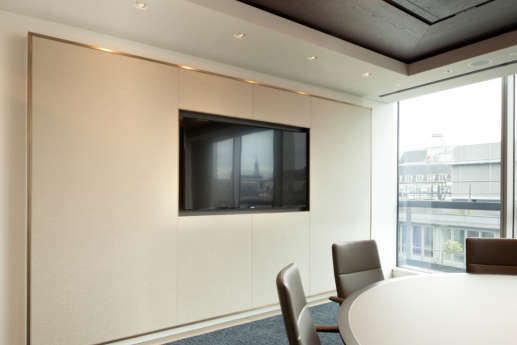 The client cornerstone was simple – ‘maximise both quality and value for money’. 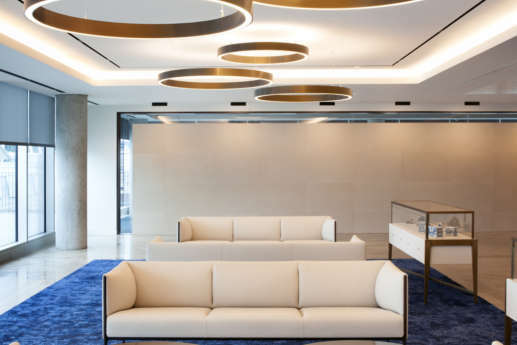 The 130,000 sq ft space spans the whole building at 8-10 Moorgate in Central London, and provides client meeting and entertaining areas, complete with a trading floor, staff canteen and on-site fitness facilities - creating the ultimate city-centre destination workplace. 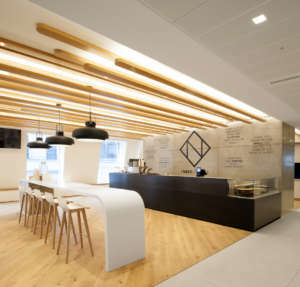 Parquet flooring greets guests and employees at the reception before leading to a bold reception desk that’s situated in front of a feature stone wall. 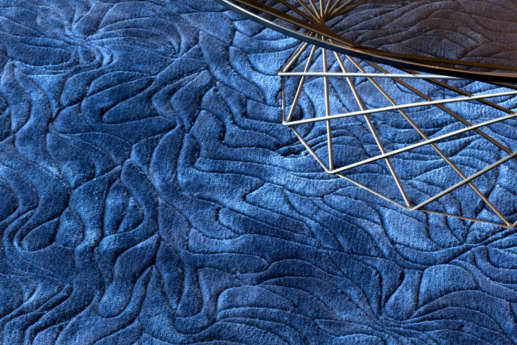 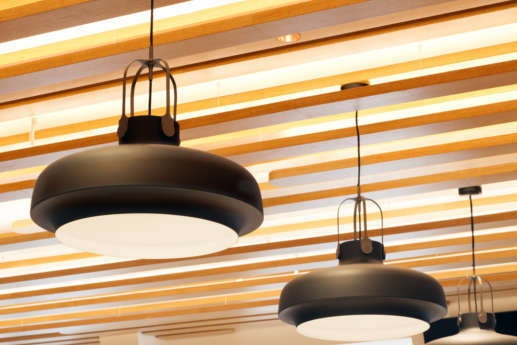 These opposing natural elements create a sophisticated finish that has a clean feeling of modern luxury. 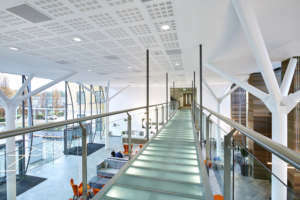 This design ethos and material palette required constant monitoring and inspection from the construction team to ensure the sophisticated finish. 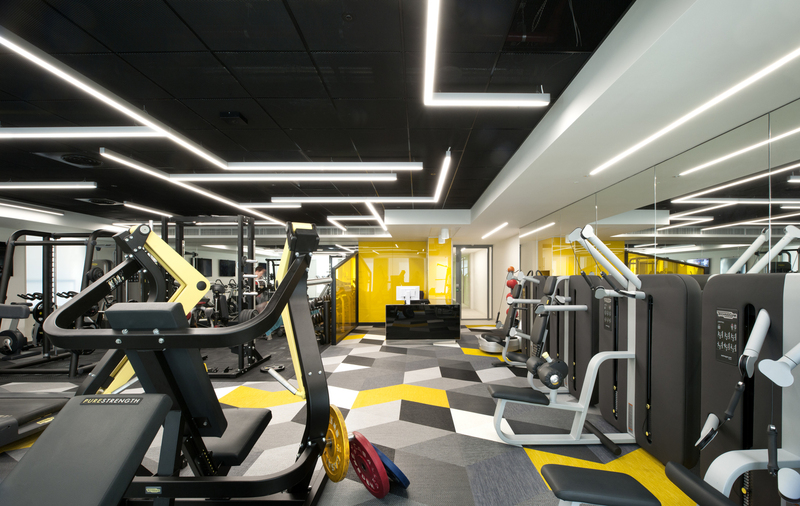 The ground floor is home to staff facilities, including a high-spec fitness centre, complete with changing and storage facilities that allow staff to cycle or jog to work then change for the day ahead. 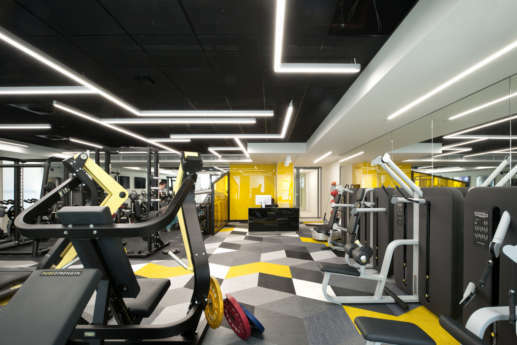 The fitness centre features impact-absorbing flooring that continues the colour scheme from the other floors, while also featuring exposed services and recessed lighting - a theme that’s established throughout the rest of the building. 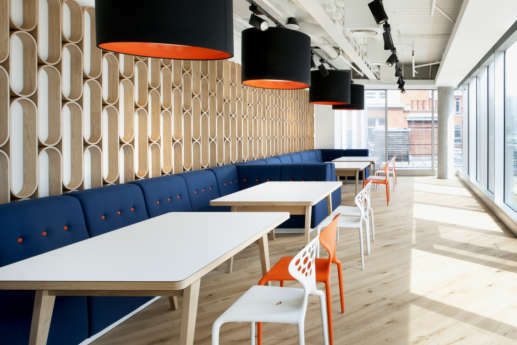 The bright and airy staff cafeteria is more than just your average canteen. 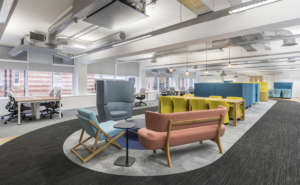 Featuring tiles in the high traffic areas, the space is softened through recurring parquet flooring around the periphery. 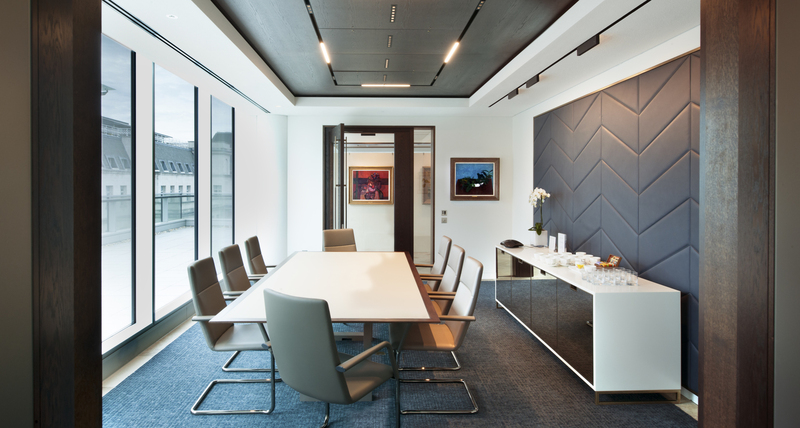 This allows the space to reflect much of the natural light provided through the fifth floor windows, creating a feeling of openness that is enhanced with the raised ceiling and recessed light fittings. 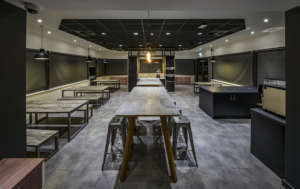 The open plan area is then divided into smaller spaces with banquet seating and custom joinery, which allows for additional natural light to flow through the floor. 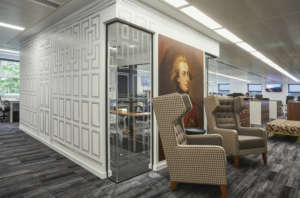 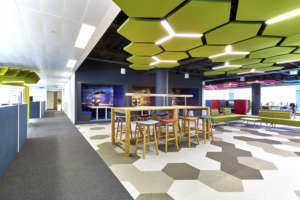 Breakout spaces allow staff to work in a style and space that suits them and their current task at hand. 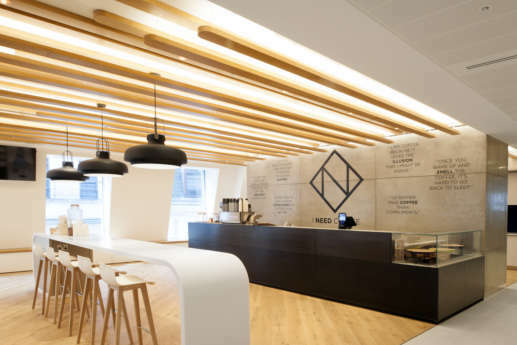 An on-trend coffee bar in the cafeteria is positioned against polished concrete wall with stained timber counter and framed with light wooden flooring - creating a feature cafe in the space that wouldn’t look out of place at Old Street! 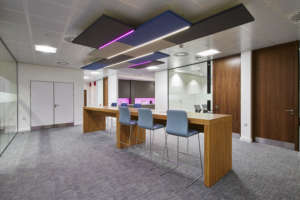 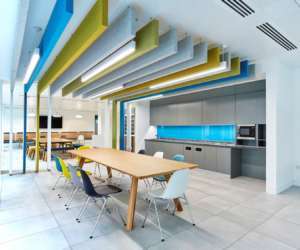 The fifth floor is home to the client suite, which houses a mix of meeting spaces, all fitted out with individual styling. 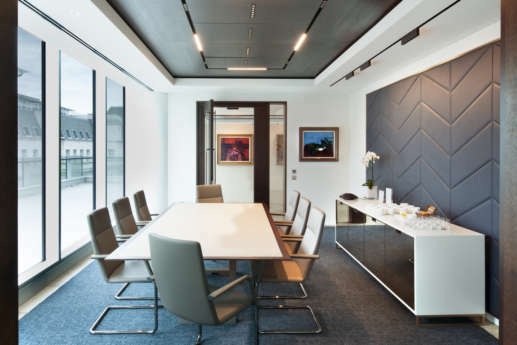 The boardroom features subtle, natural hues and a recessed ceiling, finished off with a dark wood to create a sense of intimacy in such a large space. 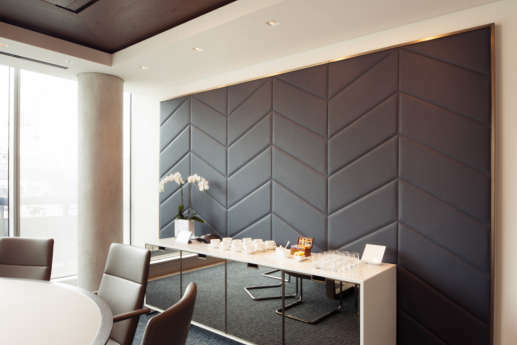 The smaller meeting rooms are styled with leather-pressed feature walls. 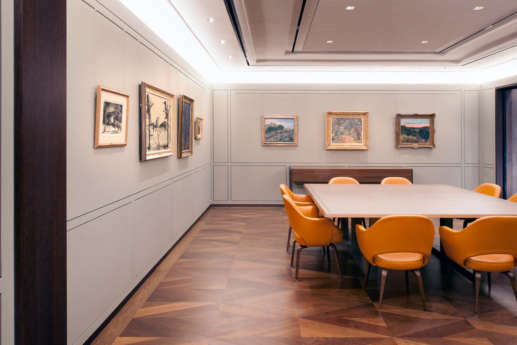 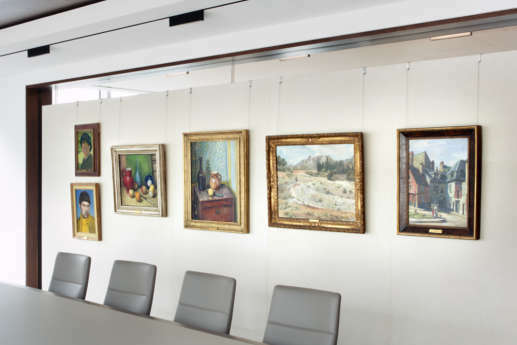 These not only look sophisticated and add to the art gallery feeling throughout the floor, but also stop reverberation and absorb sound from the smaller meeting spaces. 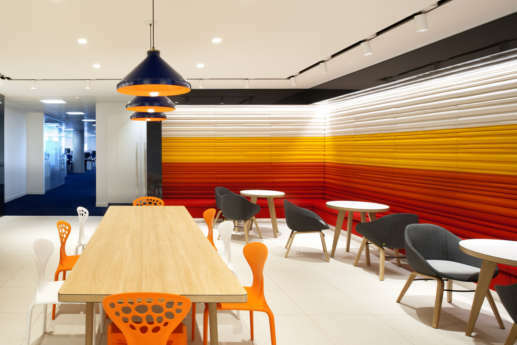 The non-client meeting spaces feature similar accents, however are employ ING’s iconic bold red, orange and white colour scheme - adding a vibrant Dutch flair to the staff areas.